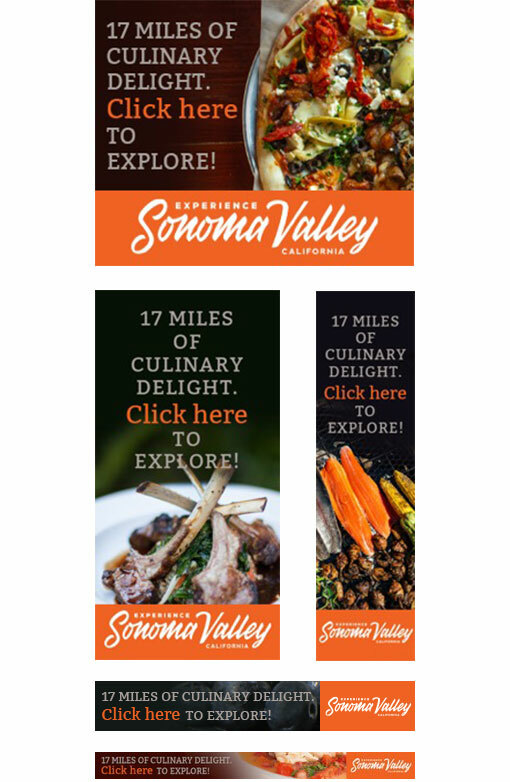 We were approached to help promote Sonoma Valley as a travel destination. The challenge was further complicated by the natural disaster of area wildfires, dissuading visitors from booking even after the fires were long extinguished. 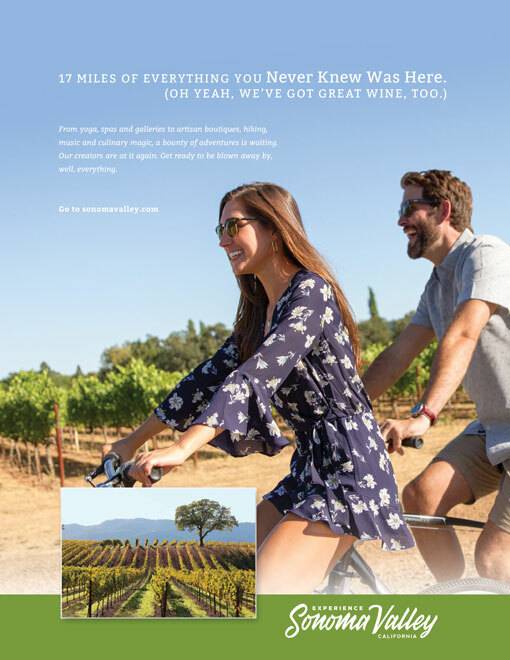 We created an ad campaign that focused on all the considerable amenities and assets of the region, while continuing to build on Sonoma’s positioning as the birthplace of California winemaking. 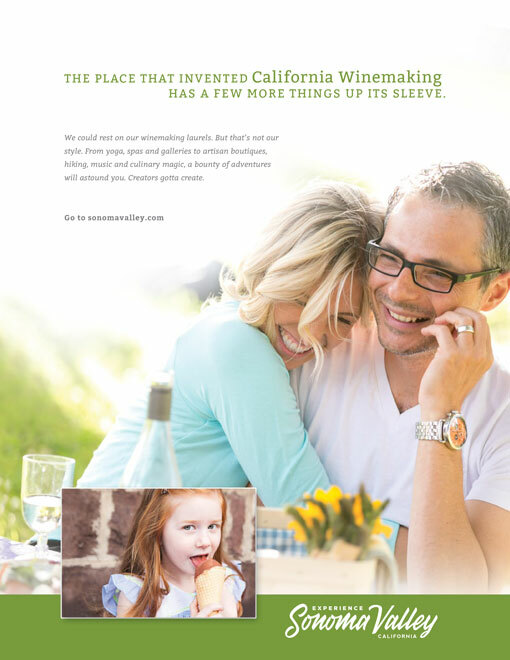 Referencing the wide array of activities and offerings, from outdoor pursuits to one-of-a-kind, farm-to-table culinary experiences, we demonstrated both visually and in words the adventure and possibilities of this magical destination.